If this game looks a little familiar, it's probably because it had a former life under a different name altogether. 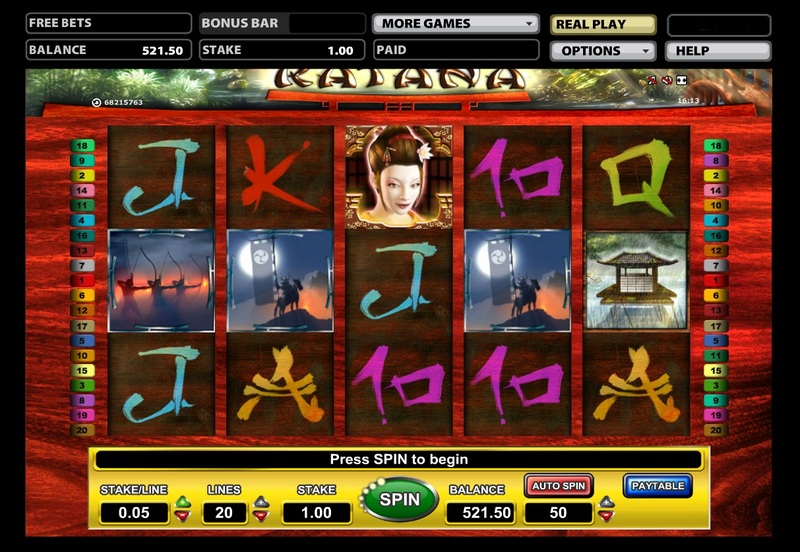 Katana, from leading slots developer Novomatic, was originally called Shogun, but licensing rights led to a change in title. Whatever the name, what you get is a humdrum online slot filled with Oriental leanings. Katana’s interesting past is about as exciting as it gets, as it’s a very standard game in many ways. The symbols feature some fairly generic 10-to-Ace symbols made up in an Asian fashion, but there is a Free Spins bonus round to be won. Three Scatters anywhere rewards you with 10 spins and a 2x multiplier. On top of that, there are some nice expanding Wilds which stretch down the reels to bolster those wins a little more. What's more - you can retrigger the bonus feature any time. 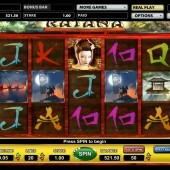 Katana may not exactly set the world alight in terms of Novomatic slots online, but there are plenty of alternatives out there in Novomatic-land. Check out the obvious stops like the adventure-style Book of Ra or the underwater-set Dolphin's Pearl Deluxe to complete your Novomatic journey. You'll be a more rounded slots player for it.